It’s no secret that we have a unique business model here at Caledon Virtual, which goes to the core of who we are as an agency. It shapes how we do business, our cash flow; everything. 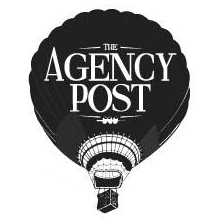 Michael wrote an article for The Agency Post (his debut on the site) explaining what kind of an agency we are, and how we’ve grown since going to our virtual model back in 2007. It is, of course, centered on us but there are many lessons to be learned from our story in how to grow as an agency, even if you don’t subscribe to our model.